As a kid I always wanted to visit Tokyo. It seemed like an amazing place, filled with cats and robots and anime-a-plenty. Well, yesterday I arrived in Tokyo where I’ll be performing Princess Mononoke with Wholehog Theatre! To come here for a work reason, and to perform in the theatre no less, feels amazing! As first impressions go, this is a pretty crazy and exciting place to be! The funny thing is; it at once feels extremely foreign and strangely familiar. I think in this internet age, we have access to so much information, images and movies that we have a good sense of what a great deal of places are like before we actually see them in person, so we don’t find it so surprising when we actually arrive – wandering around the amazingly eclectic Shinjuku area of Tokyo was a lot like this. Things like the way the buildings are laid out, the songs the traffic lights play and things like that are exactly as I pictured them to be. Upon arrival, we were taken straight to our hotel; The Listel Hotel in Shinjuku. It’s a lovely little place with fantastically 70’s style rooms. The best thing, was walking in and finding a complimentary cotton kimono laid out on my bed! Wasting no time, every male member of the cast donned these and met in the hallway whilst the women looked on and shook their heads at us. In our excitement at least four of us (spread over two rooms) forgot our keycards and locked ourselves out, wearing nothing but our new found kimonos. Some great features of the room are a built in radio which plays obscure Japanese talk shows and a decent sized tv with some Japanese channels. Usually, the last thing I want to do in a hotel is watch tv or listen to the radio, but it’s just so interesting to see it here. Another enjoyable, if not rather surprising feature is the bathroom, and more specifically the toilet. I won’t go into details, but suffice it to say; it’s all a bit much for my English sensitivities! 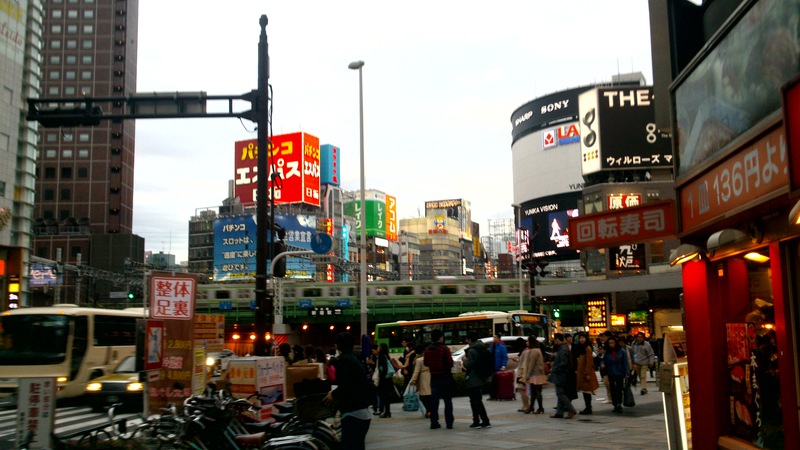 Wandering around Shinjuku is like a childhood dream come true. Everywhere you look, there are flashing lights and massive cartoon-esque signs. Pop music seems to linger in the very air and beautiful people on 20ft billboards are forever looking down at you. There are just so many exciting bizarre things to see at every moment. 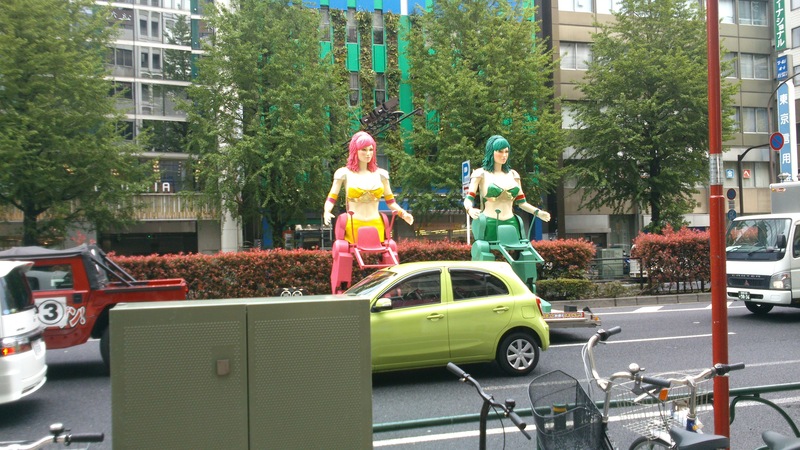 At one point, me and a few of my buddies; Adam and Andy, were walking down the street when a truck drove past dragging a trailer with two giant bikini clad robot anime girls singing pop music. Andy has since told me that they had chairs built into their groins…maybe they’re part of some sort of theme park ride? Who knows. Since then, we’ve seen this Giant Robot Truck (GRuck) several times. Soon after this, we decided to pop into an arcade. 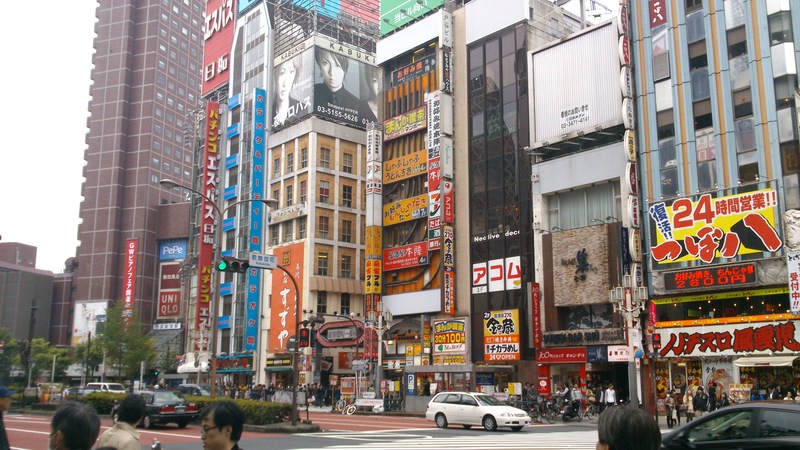 Now, one thing to know about Tokyo, is that one does not just ‘pop into’ an arcade! It was five floors high (actually there was a sixth, but we dared not go in, on account of how pink it was and how many pretty girls there were in there). Still, me and Andy ran around the place with childlike grins on our faces watching the various pros playing on dance machines and other gadgets which defy comprehension. Another thing me and Andy got over excited about was a Cat Cafe! Unfortunately, it was all booked up, so all we saw of it was the reception, which looked conspicuously like a vet. Still, we’ll be booking a place for next week at some point. We also wandered into the Shinjuku red light district which is a fantastic blaze of lights, music and colorful dress senses. A really exciting, lively place to be, and I imagine the night life is amazing. Between all of this craziness are the temples. 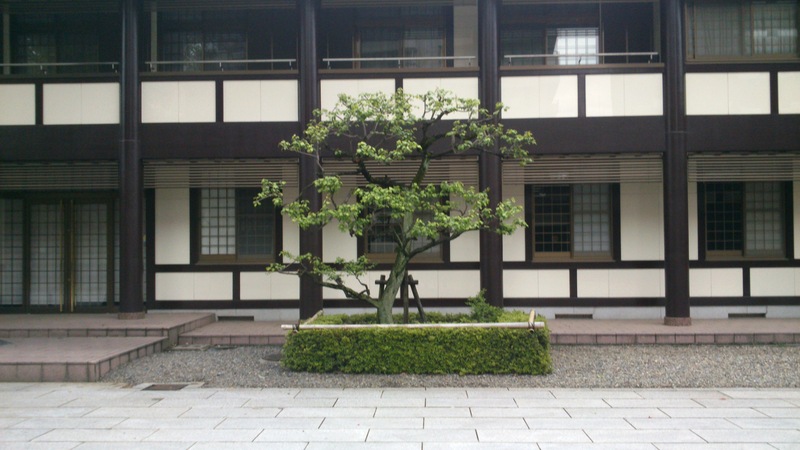 These are beautiful classic Japanese houses with lovely gardens and miniature shrines. In one, we drank water from a pool decorated with a dragon, in another, we played with Coy fish, making them swim circles around our hands. I found it really interesting watching people come and pray or make wishes at the shrines. I didn’t realise this was still such a large part of Japanese culture. I think it’s a shame we don’t have things like this in London. There’s something very peaceful, spiritual if you like, about it. I think from a purely practical point of view it would be wonderful to have somewhere to stop off at on the way to work, where we have a moment to reflect on the day, what we’d like to achieve from it, make a wish, etc. 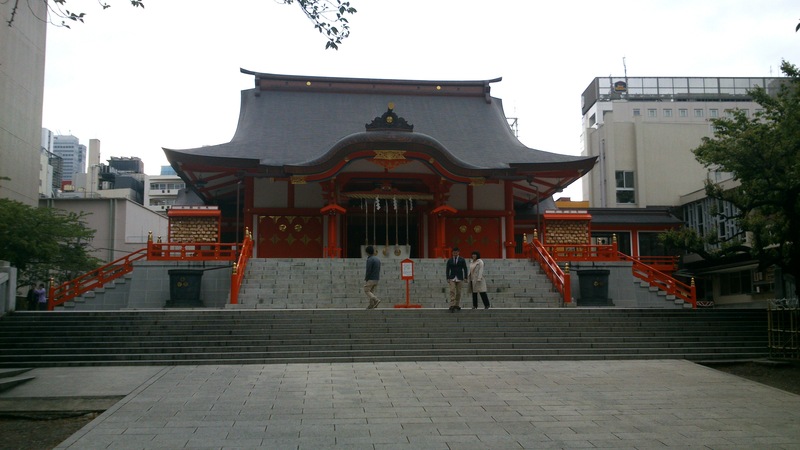 Obviously these shrines mean more than this to these people, but still, it would be nice. Another very cool feature is of course the food! Noodles are pretty much my favorite thing ever, so to eat real, proper, genuine, yummy noodles is ace! Everywhere you go there are noodle and rice bars. Genuine Onigiri is also excellent – so, very excellent! All these things are mixed up within a beautifully maintained city. It’s very open and there are parks and trees everywhere! It makes such a huge difference, making everything feel that much more welcoming and pleasant. The whole city is very friendly and as I said, apparently the safest city in the world. An interesting personal observation; I remember going to Moscow and feeling sort of intimidated by the lack of English (etc) at first. But here, there is no more English, yet I feel super confident and street-wise. I’d have no qualms hopping on the metro and recon I could find my way around easily enough, or just wandering the streets. I now know this is purely psychological! When I went to Moscow the most useful piece of advice I was given was; ‘You will probably die’. Here, on the other hand, People have said; ‘You defiantly won’t die’. I thought I was relativity strong willed and open minded and I hadn’t realised how much these things effected my point of view right from the outset, but apparently, they really have. Obvious perhaps, but interesting nonetheless. Last night a few of us went out into Shibuya, a hugely busy and popular area of Tokyo, where we met a nice guy who has been living here for a year who was able to tell us some very interesting things about Japan, Tokyo and the quality of life here, outside of our fairy tale vision of the city. I was very glad of this and he told me that he’s been blogging about life in Japan, so it’ll be interesting to have a look at his stuff at some point. And of course, one very important thing we did was check out the theatre that we’ll be performing in! It’s the AiiA Theater in Shibuya. The theatre is rather large and rather respectable, so it will be extremely exciting to get inside of it! Of course it’s worlds away from the New Diorama in London, dwarfing it in size, so it’ll certainly be tricky adapting to such a large space…and such a large audience! 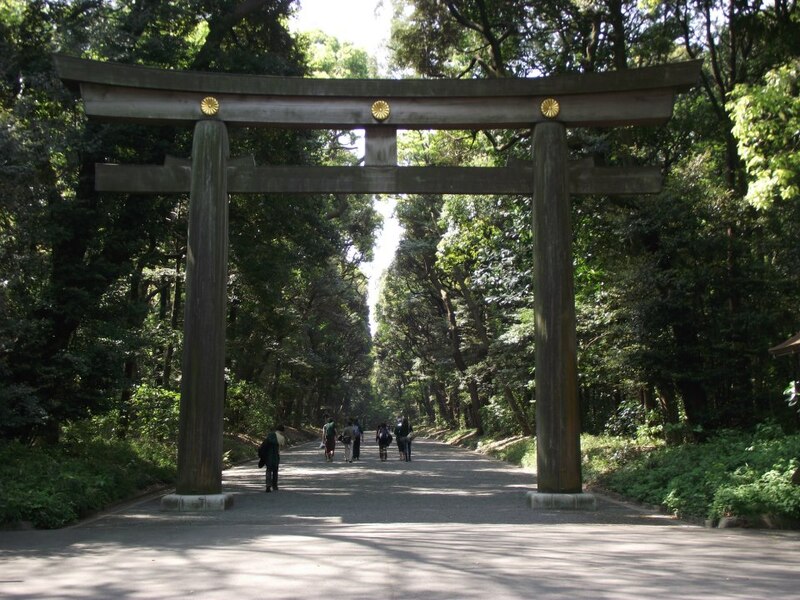 It’ll be great to see even more of the city if I can, but so far, my biggest impression of Tokyo is that it’s very green, very shiny and very wonderful. I hope I’ve given an idea of what it’s been like so far. I always find these travel blogs so hard to write, because I’m trying to give a sense of something which is also completely new to me! I’ll do a separate post on our work in the theatre and any other exciting things we do throughout the next few weeks. But for now; Sayonara.